Words link like leaves on trees. Word webs help us to explain; but words may also hide what we need to see and to discover what is hidden beneath the surface. 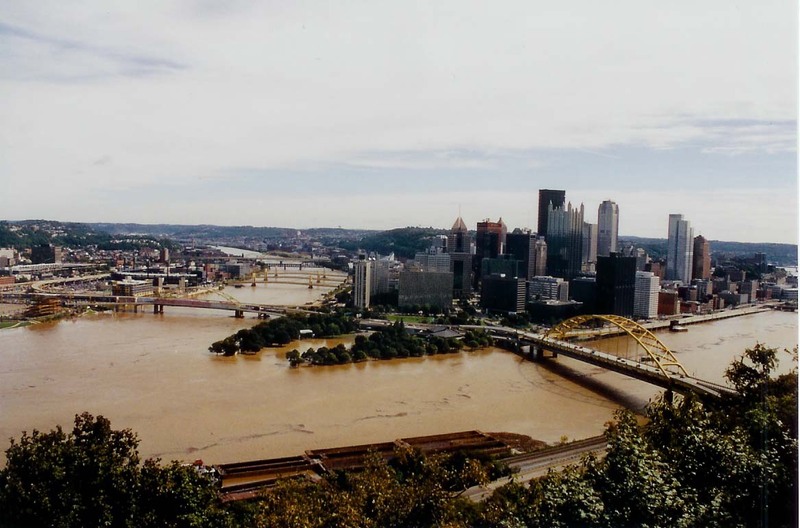 Flood waters at Pittsburgh, Pennsylvania, in 2004. How is learning both spoken and imagined simultaneously? Social groups are not just a human experience, social animals relate to each other in a sensory and a cognitive way such that an internal visualization abides of our external encounter so that we recognize something familiar as different from another new thing. bifocal – or stereoscopic is to see in two ways, stereoscopically implies a view in order to see depth of field. 1. literal, literally: explicit, direct; plain, strict, unimbellished, without metaphor or implication. 2. figurative, figuratively: symbolic implied, suggested by the context beyond the strict meaning of a word. Conservation areas at greatest risk of species loss.